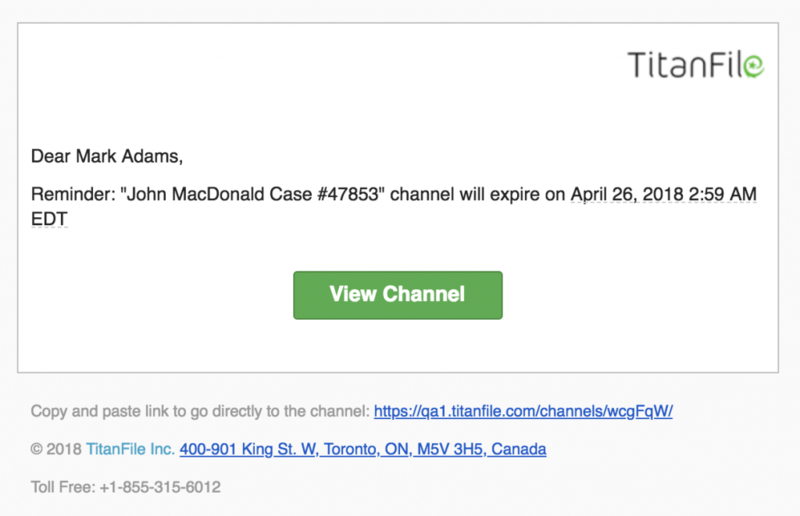 Channel owners will have the option to receive email reminders before the channel expires. What do Channel Expiration Reminders do? A reminder three (3) days before a channel you own expires. A reminder one (1) day before a channel you own expires. 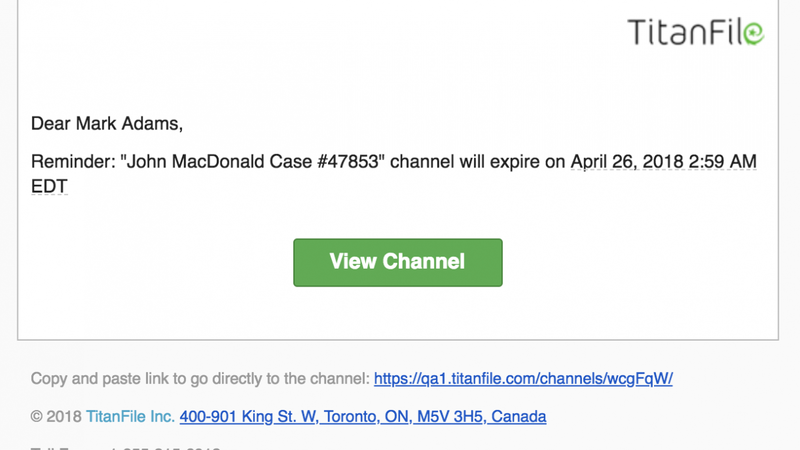 How do Channel Expiration Reminders benefit me? 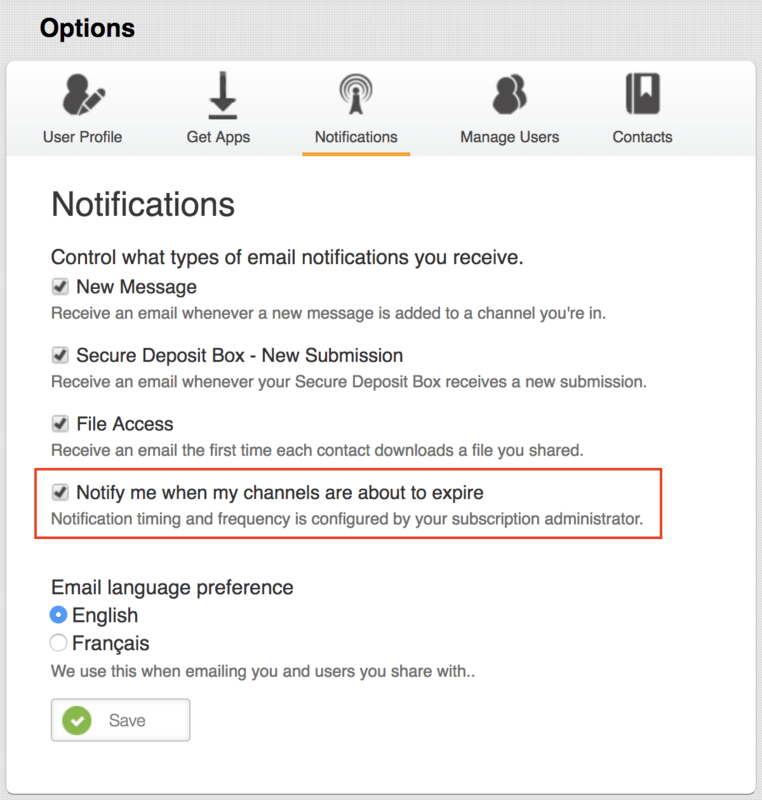 Keeps you up to date on when channels that you own are going to expire and delete so you can notify collaborators if they haven’t yet accessed the shared data. How do I use Channel Expiration Reminders? To enable the email reminders, go to the Options panel and then select Notifications. From there enable “Notify me when my channels are about to expire” and click Save.